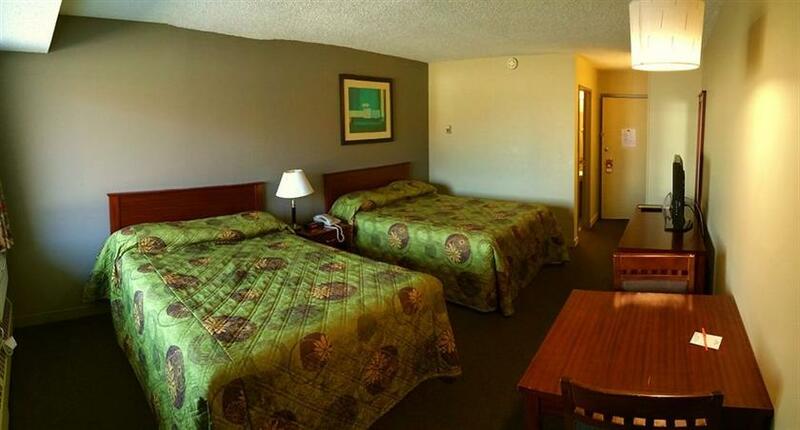 About the hotel: Broadway Lodge Yorkton is located at the intersection of Highways 9 and 10, close to restaurants and shopping, making it a convenient stopover for those travelling by car. 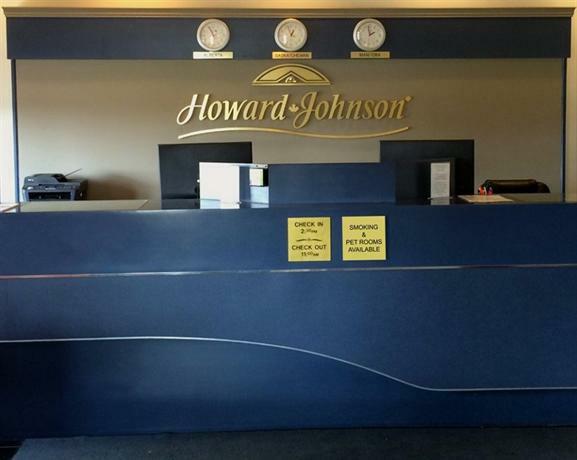 It has recently changed hands from a Howard Johnson and offers long-term accommodation as well as regular hotel stays. This hotel is in the process of being renovated. The hotel offers 148 smoke-free rooms on 2 floors with no elevator. All rooms include free Wi-Fi, free local calls, a flat screen TV with cable, a coffeemaker, a mini-fridge, a microwave, a desk and chair, an iron and ironing board, a hair dryer and climate control. Some rooms include a sofabed, a kitchenette (stove top, mini-fridge, microwave, toaster-oven, sink), a table and chairs and drive-up access. 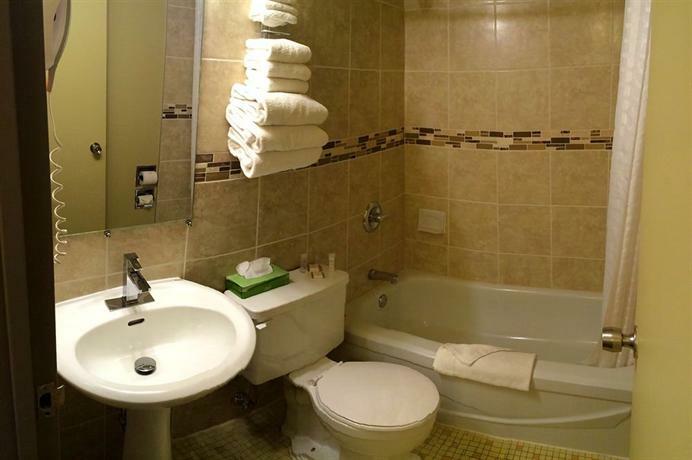 Accessible rooms are available, as are weekly and monthly rates. 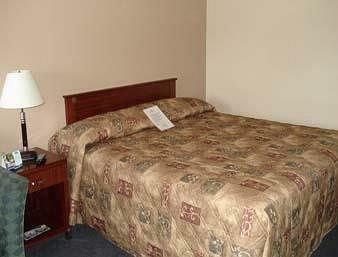 Rooms are furnished with 2 or 4 queen beds or 1 king bed. Free parking is available on site for cars and oversize vehicles. Pets are welcome for $15 per night. A free continental breakfast is offered, buffet-style to all guests. There is no restaurant on site, but guests will find several restaurants including Tim Hortons, Wendy's and Boston Pizza within a 3-minute walk. 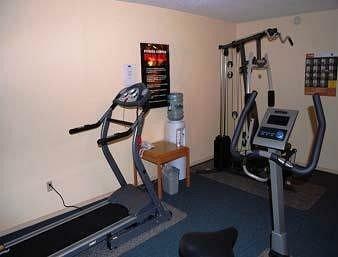 Hotel amenities include a fitness room, business services (fax/copy), a guest laundry, ice/vending machines, free newspapers and meeting rooms. 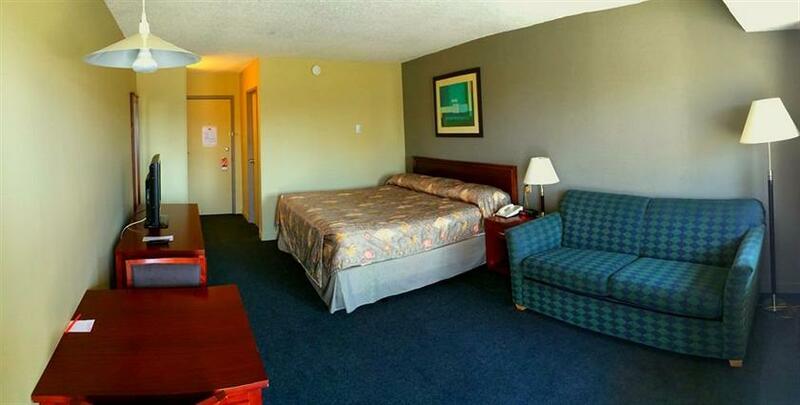 The hotel has been undergoing renovations and guests looking for a budget room often reported comfortable stays. They found the rooms clean, spacious and well equipped with mini-fridges and microwaves and mentioned enjoying a new comfortable bed and a good hot shower. Some guests appreciated having drive-up access. The hotel had a friendly atmosphere. Guests who commented on staff found them welcoming, accommodating and professional. One recent guest wrote: "The staff are good honest friendly people, I forgot my iPad when I checked out and right away they called me back to let me know." Many thought the room price was affordable, compared favourably against other hotels in the city, and provided good value for the quality of the accommodations. The location was handy to highways and lots of restaurants and shops in walking distance. This hotel often missed the mark with guests based on several shortcomings. The new owners of the hotel have made lots of renovations, but the exterior of the property lacks curb appeal, still looking quite old. Although many guests found clean and comfortable rooms, there was some room complaints such as dusty surfaces and carpets needing better cleaning. Noise was sometimes mentioned from guests in hallways and traffic on the street-facing side. Some rooms were not completely renovated and guests complained of slow drains, an unusable shower head and difficulty regulating the in-room temperature. Guests were mixed over the free breakfast. Although some liked it, some found it too basic, unappealing and one reviewer said it was not properly heated on his stay. A few guests mentioned that the parking lot needs to be resurfaced due to uneven areas and pot holes. 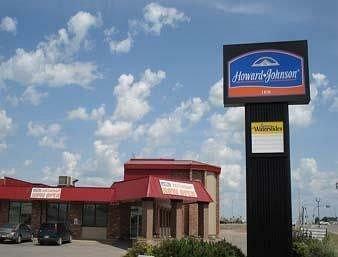 Some had difficulty locating the hotel as a large Howard Johnson sign still remains on the property, although there is a more obsure Broadway Lodge sign on it also. Some guests, not having done much research on the property, felt misled by the gleaming and very new looking pictures posted online which did not depict that the hotel was older and still shabby in part. Expedia.ca rated this hotel 3.5 out of 5 based on 57 reviews. 81% said they would recommend this hotel. 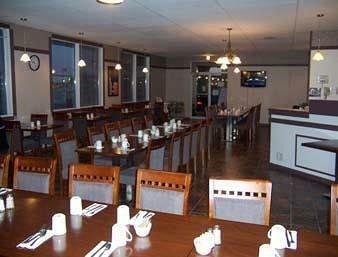 TripAdvisor.com ranked this hotel #5 out of 9 hotels in Yorkton, with a guest rating of 3.5 out of 5, based on 88 reviews. The average guest rating for Broadway Lodge Ltd is 6.9 out of 10 based on 103 reviews from past guests. 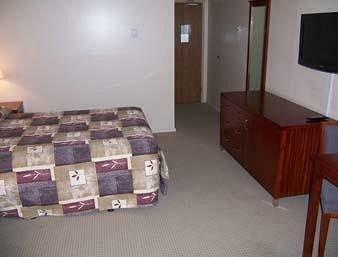 This average guest rating ranks Broadway Lodge Ltd at #5 out of 6 hotels in Yorkton.